She mentioned this online photography class she took that was instructed by some person named Karen Russell. I googled ‘Karen Russell’ and fell in love with her on her blog. I felt like I was part of her life – her photos are just LIKE that. I wanted to learn more. I read maybe EVERY post she ever posted. Then, I ran out of posts because she was on some temporary blogging hiatus (she does this). So, I finally decided to fork over the $245 and take her class. I took it in January 2011. I know that sounds like hyperbole, but hear me out. The class was filled with these amazing women who were drawn together by the same love family and story telling. Women as far as the Phillipines and England and as close as Cocoa Beach. I met some of these women and many are still my best friends. These women have changed who I am. But so has photography. See, before the class, I wanted to shoot professionally. You should laugh at that when you see my 2010 pictures below. I had NO CLUE that I had no clue. But I also didn’t get it. It was NEVER about shooting other families. It was about capturing the joy (and the moments in between the joy). It was about the stories that no one could tell BUT ME. Because no one would be in my home, tickling my kids, playing with them – camera in hand. While as an actual professional photographer (months later, that’s still hard for me to say), I should want to tell you to hire me to capture those moments for you. I KNOW that, as Karen teaches, you are the best photographer for your family. Now, don’t get me wrong. I’m happy to take those pretty family photos of you with your people. But those bedtime stories. Those random, roller skating down the hallway in Paul Frank jammies, moments. You are the best person to capture them. And your iPhone can sometimes do a decent job, but you’ve got that great DSLR gathering dust. Why not use it? I TREASURE even the crappy photos I have of my kids before I took the class. But I’m SO VERY THANKFUL that I can now capture the images I am INTENDING to capture and tell the stories I want to tell. It really beats the whole ‘snapshot’ approach. I think this class should be mandatory for every human. Here are some images I shot before and after Snapshots of a Good Life – The Photographer’s Workshop. 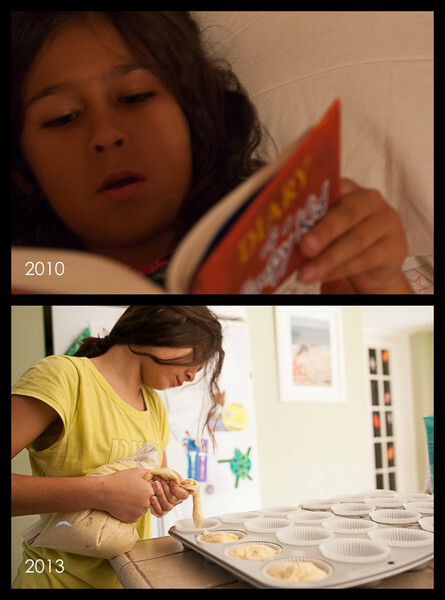 I was careful to select photos that are representative of my photography – then and now (not the worst and the best). The 2010 photos where taken months before I took the class. Proof that YOU can do this. You can do this even if you don’t know how to turn on your camera. I PROMISE. Best $245 I ever spent. The next class runs March – June (10 weeks) and will get you ready for the summer/vacation season! You can go at your own pace, but the more you put into it, the more you get from it. Karen is great about answering every single question in the online forum. I took it as an auditor, but if you can get a regular seat, I suggest that. The only difference is regular students get some wonderful critiques on weekly assignments and on two submitted photos. Auditors have access to all the regular students’ critiques and full access to the forum (and to ask questions). Registration opens Tuesday, February 18th at 12PM EST. Seats fill quickly, so set a reminder for yourself. Need more info? Visit the The Photographer’s Workshop. Did you take the class? Comment below on what you loved about it! Edited: Originally I wrote the next class is September – November – it’s March – June! Great post and a great endorsement for a class that I have no doubt is as amazing as you say. However, I accept my limitation when it comes to self-improvement in the realm of taking pictures. $245 is more than I can presently afford to put into a hobby for which I don’t even have the appropriate (and even more expensive) equipment. As an experiment, I recently “upgraded” my 6-year-old point-and-shoot camera to a more recent point-and-shoot camera to see if I would take more pictures. I would say I take 10% more pictures. 🙂 I think I may have to settle for being a super-Mommy in other areas for the time being (a couple of super-Mommy traits gets you to at least “acceptable Mommy” status, right??). I do appreciate you calling my attention to this post, however, as I haven’t been diligent about checking my feed reader and so would have missed it otherwise! You are definitely a super Mom! It’s good to know what you like and what you don’t! 🙂 Thanks for commenting. I look forward to one day taking pictures of your and your little guy. P.S. These are *fantastic* examples of how you’ve improved as a photographer. Wonderful post! I agree with what you said. Karen’s photography class was so much more than just a photography class. She taught me how to “see” things in a different way! 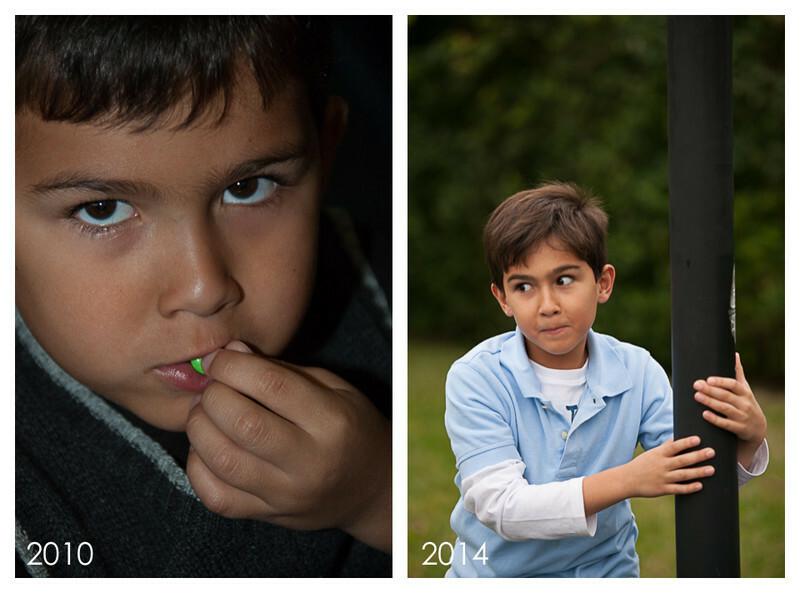 Sorry, but I don’t think you should show the photo of your son putting the M&M in his mouth as an example of a ‘before’ photo because to me, it is AWESOME. Surely you can find something crappier? I’d be proud of that photo as an ‘after’. And a snoopy question: How did you get to go to a CHA convention? I’d LOVE to get to go. I’ve been dropping hints to a friend that owns a scrapbook store, but so far no go. I owned an online scrapbook store for a few years, Nancy!